Everything is done digitally now. So, it’s no surprise that when you are still making use of a paper-based process, somewhere along the line, it needs to be digitally converted so the information can be tracked, managed and assessed. As it stands for many organizations right now, that means someone is being assigned to transcribe what is written on paper, into a digital format. It’s a complete and total unnecessary waste of time. If business is conducted digitally, why not ensure your processes are in a digital format from the beginning. Skip the step of duplicating efforts and get it in the usable format the first time. Unfortunately, this duplication of effort is ever-present in the safety world. It’s egregious how much time is spent typing out information. And, this represents one of the greatest threats facing the safety industry. 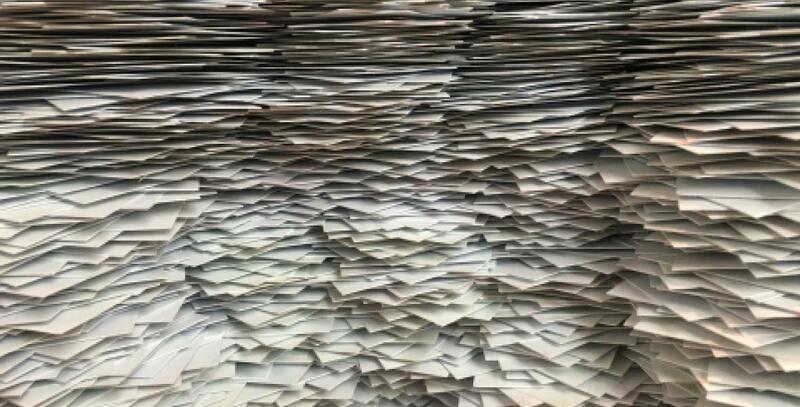 Too often, safety professionals, tasked to continually improve the safety of the workforce, are buried in paperwork. The heaping stack of paper they are required to process makes it so they can’t get around to championing the Safety Culture. Their lack of visibility in the field impacts morale and negatively influences the standard of safety the workforce holds themselves to. This means more incidents and injuries, increased downtime and unplanned shutdown, less efficiency, higher costs and less profit. The root cause of this cascade effect is paper. Paper-based safety hazard assessments represent a risk exposure. It sounds blasphemous or counter-intuitive that a process intended to improve safety would hamper it. It’s certainly not the idea or philosophy behind hazard assessments that is the problem. However, as Marshall McLuhan so eloquently put, “the medium is the message”. As long as hazard assessments, or any processes for that matter, are tied to a paper-based format, they will be perceived in a certain manner and will suffer from the limitations of that medium. Institute a medium that eliminates duplication and doesn’t distract the user from the process it houses. By digitizing your hazard assessments with technology like the SayleSafety App, you’re saving money and gaining resources just by stopping unnecessary efforts. What’s more, you’re implementing the hazard assessment process via a familiar medium, so the user can look beyond the platform – to the purpose of the exercise (i.e., ensuring their own well-being, and that of others). Stop letting the paperwork pile up, burying your Safety Culture. Come out from behind the cluttered stacks and put safety in the palm of your hand.